Around the turn of the 1970s, there was a boom in super hero merchandise in Japan. Television had become a mainstream entertainment medium and there were many popular television shows around characters like Ultraman and Kamen Rider. Toy manufacturers capitalized on this phenomenon and produced boatloads of games and other items with super hero imagery. 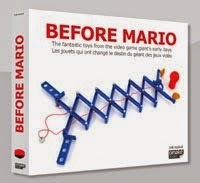 Nintendo also acquired licenses to use the protagonists of a number of these television series and used these for things like board games, playing cards and N&B Block construction sets. In 1971 Nintendo extended their product line with a series of super hero themed electric clocks, called E-clock. The Japanese name was simply Nintendo Electric Clock (任天堂 電気時計). 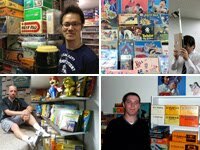 1971 is an interesting year in the history of Nintendo. In this year Nintendo also released the Light Telephone and the Copylas printing machine. But back to the clocks. The clocks were sold in attractive, colorful boxes with a Styrofoam base and a cardboard top. There are 4 different super hero clocks in this series: Mirror Man, Silver Kamen, Ultraman and Kamen Rider. The first clock we will zoom into is that of the Silver Kamen (シルバー仮面). The box contains a "Nintendo" logo on the side and a "Nintendo Game" logo on the top. The clocks were atractively priced, at ¥1,800 each. The bottom of the Styrofoam box also contains a large embossed "Nintendo Game" logo. A power cord is attached to the clock. It runs on 100 volts. The faceplate of the clock contains a scene from the Silver Kamen television series. The clock does not have a standard seconds hand. Instead, the Silver Kamen figure in the middle spins around, its leg indicating the seconds. Except for a copyright notice in the back, the clock does not contain a Nintendo logo, using the "E-clock" name instead. The back of the clock reveals the housing of the clock mechanism. The Nintendo copyright notice can be found on the back of the clock housing. Observing readers may have noticed some clocks contain a "50Hz" label, while others are labelled "60Hz". This relates to the power frequency the clock is designed to work with. You had to buy the right clock type according to your geographical region. If you did not get the right power frequency type, it would run too fast or too slow - which is is not very convenient, for a clock. Next up is the Kamen Rider (仮面ライダー) clock. The image on the faceplate shows the Kamen Rider on his bike. Additional face plates allow the clock to be equipped with your favorite Kamen Rider figures. How about this blue lady insect villain? Like the Silver Kamen clock, the seconds hand is replaced by a spinning Kamen Rider figure. Clock number three features arguably the most popular of all these super heroes: the mighty Ultraman (ウルトラマン). Unlike the other super heroes clocks, this one isn't blue but cream colored. The last of the four clocks features Mirror Man (ミラーマン). This clock has some great face plates, showing a huge Mirror Man battling it out in a city under siege. All in all a great series of super hero merchandise. Besides the four super hero clocks, there is a fifth one, with a more peaceful theme: Disney. The clock is called "Disney Manga" (ディズニーマンガ), which of course means "Disney Cartoon". The face plates feature scenes from Bambi, Snow White and Lady and the Tramp. Over the years, Nintendo has produced quite some toys based on Disney characters. This started with playing cards in the early 60s and was followed by a lot of boardgames in the 60s and early 70s. In the 80s a number of great Game & Watch games featured Mickey Mouse and Donald Duck. A spinning Tinkerbell indicates the seconds. 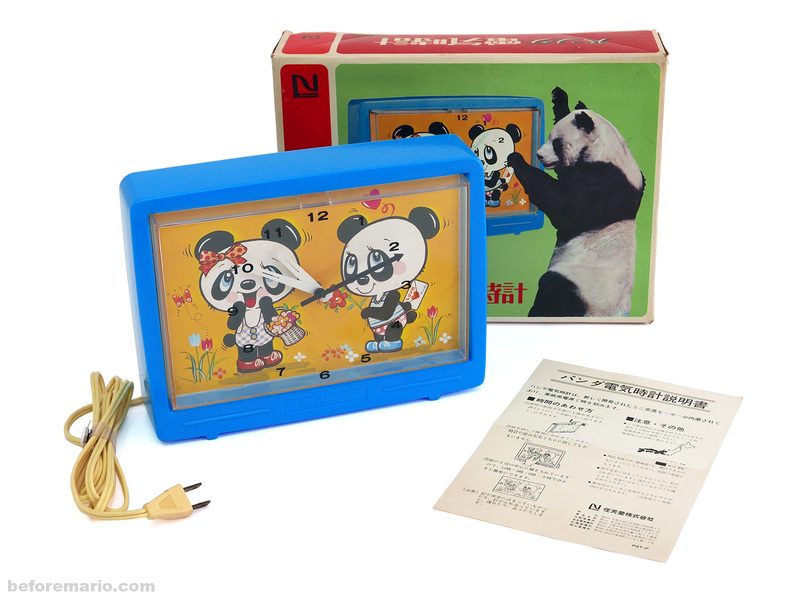 In 1972 Nintendo released a sixth clock, called Panda electric clock (パンダ電気時計). This one has two cute panda's on the faceplate. Find out more about this final clock in the E-clock series in this post.